This stainless steel anchorage point (Ø 16 mm) for steel surfaces is reinforced through a special supporting tube (Ø 42 mm). You can either use it as a single anchorage point or integrate it into a lifeline system. It is installed laterally using the angular plate supplied and then countered using 2 threaded bolts and corresponding nuts. Secures 3 or more individuals - our ABS-Lock III-SEITL-SR-ST is a particularly robust anchorage point. It provides you with an excellent fall arrest solution in industrial environments, on construction sites and at companies focused on skilled trades. This anchor has been reinforced for implementation in a lifeline system using a special stainless steel supporting tube (Ø 42mm). It can also simply be used as a single anchorage point. Install the anchor in the floor, a wall or the ceiling - wherever you need it. 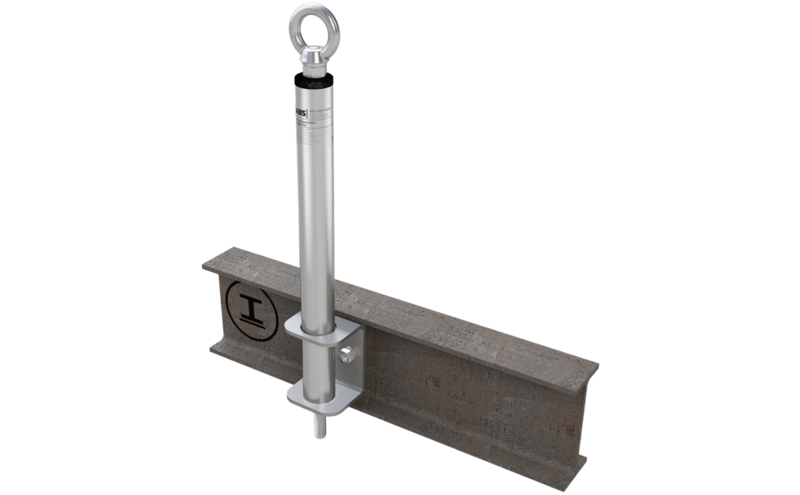 Our ABS-Lock III-SEITL-SR-ST model for steel structures is installed using two bolts and matching counter nuts. Its angular plate has been specially designed for lateral installation. This allows you to attach it to a load-bearing steel structure to create a reliable safety system. 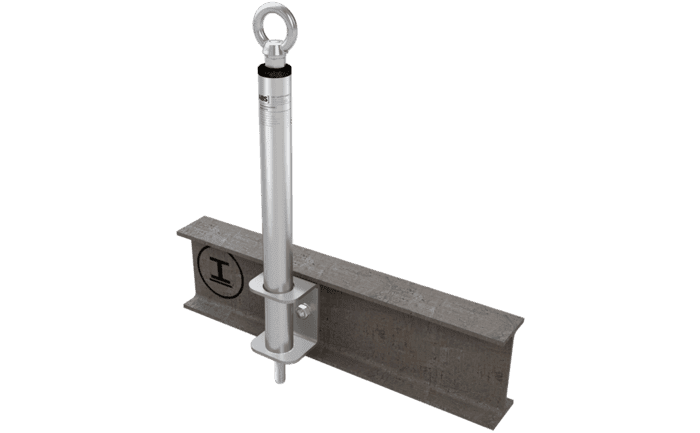 Not only can it be used to secure a building or roof surface, it can also be used for large machines, production lines and crane ways in a broad range of different industries. Manufactured completely from stainless steel, our ABS-Lock III-SEITL-SR-ST defies the worst wind and weather conditions. If you want to set up a more complex fall arrest system, e.g. using lifelines, this anchorage point can easily be combined with a wide variety of different ABS Safety components.